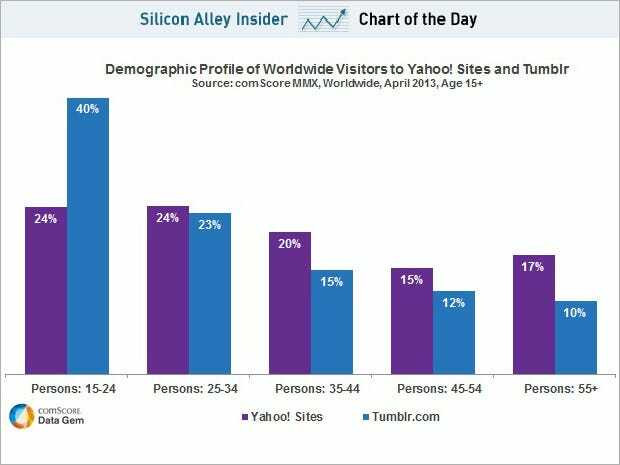 The reason Yahoo bought Tumblr for $1.1 billion is that it wanted a younger audience. This chart from comScore shows just how young that audience really is. "There are enough people in the world ready to screw you..."